Remember a time before the Internet? It’s hard to believe we functioned without it. We are so use to reading articles online at the swipe of our fingers that the concept for waiting for the morning paper to be delivered seems archaic. But that very thought brings me to today’s Throwback Thursday. In the early 1990’s, the Chicago Sun Times came to DLB looking for a way to attract more subscribers. At the time, the newspaper was in competition with the Chicago Tribune so the Sun Times wanted to expand its subscriptions and draw more attention to the newspaper’s in-depth sports coverage. 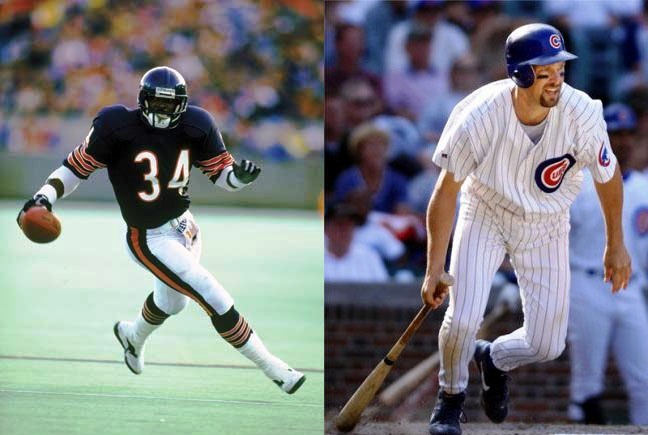 DLB recommended securing two of the hottest Chicago sports stars of that time: Walter Payton of the Bears and Mark Grace of the Cubs to participate in the print and radio campaign. This project included light-hearted radio commercials showcasing Payton and Grace’s spirited personalities and a beautiful black and white still-photograph print campaign. It was an early example of utilizing beloved local athletes to encourage consumer action. It was well-received and subscriptions to the Sun Times increased. Lesson learned: The use of sports stars as endorsers has always been a popular and successful marketing tool. They appeal to a cross-section of consumers and especially in their respective home towns, can motivate consumer purchases and behavior. How does breaking the glass ceiling on the basketball court affect the marketing arena? Throwback Thursday: What do you have for us today, Vanna?